By : John Hayowyk Jr. Elevator emergencies have been on the increase as buildings get older and new buildings are built with more elevators. We will discuss various ways of accessing the occupants of a stalled elevator and the proper removal techniques. 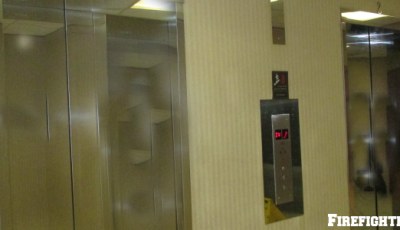 Removing occupants from a stalled elevator is a common task but there are several serious dangers that accompany this operation. Knowing how and why we do what we do will make us better firefighters and be able to provide a better and safer service for the community we serve. Upon arrival to the location we must first locate the stalled elevator. 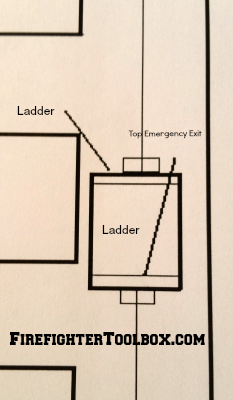 A simple way to locate the stalled elevator is to use the fire service recall key and activate the Phase One recall. This will bring the elevators in that bank to your location. If the elevators in that bank recall and open up we will see if anyone is inside. If the elevator does not recall that is most likely the elevator which is stalled. Our next step is to make verbal contact with the occupants of the stalled car after locating what floor where the car is stalled. Communication with the occupants of the elevator car is extremely important. We must maintain a constant dialog with the occupants to find out important information. The first bit of crucial information we need to determine is whether this is an emergency or non-emergency. An emergency is considered a medical condition that is occurring inside the car. Some examples of medical conditions are hypertension, chest pains, and or difficulty breathing plus many others. If there is a medical emergency this will require our members to perform at an expedited pace, but there is no reason to cut any safety corners. Ensure that the BLS and / or ALS are ready and waiting on the floor for the occupant with the medical emergency to provide treatment as soon as possible. Upon recognition of a medical emergency ensure that an elevator repair technician is responding to assist in the rescue. A non-emergency is when the elevator is just simply stalled which was caused by a malfunction or a momentary power outage. Advise the occupants of what each step that will be taken in order to free them for the stalled elevator. The first step to extricate the trapped occupants for a stalled elevator is to get the elevator machine room and turn the power supply off the elevator motor. At that time, wait approximately 30 seconds and then restore power to the elevator motor. Then perform a Phase 1 recall of the car. If the car does not recall we will have to take the next step. Have the firefighter that is in the elevator machine control room shut the power off to the elevator. Lock-out & tag-out the power source to the elevator to ensure that the power is not restored when in the process of removing the occupants of the elevator. 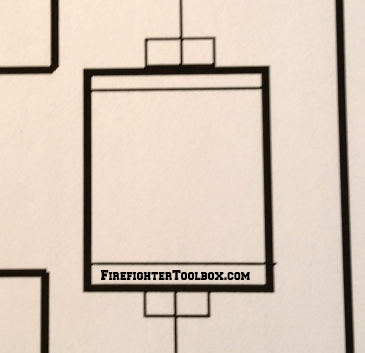 Safety Note – Keep a radio equipped FD member at that location. This is to prevent anyone from accidentally restoring power to the elevator; if the elevator is not properly locked and tagged out. While shutting the power to the elevator have a building representative make a phone call to the elevator company to send a representative to respond immediately to make the proper repairs and/or assist in the elevator rescue. Once the power is secured to the elevator, members should open the hoist way elevator door(s) closest to the area of the stalled elevator car. 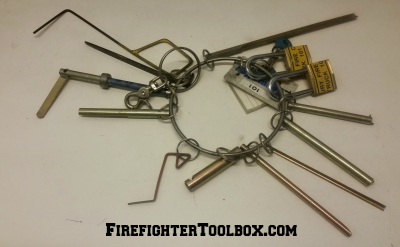 Use the elevator rescue keys to open the hoist way doors. It is important to train on the different elevator keys and how to operate each one in their corresponding lock mechanism. Safety Note – Be careful when opening the door(s) because there may not be an elevator in front of you. Look up and down the shaft for the stalled elevator car and open the hoist way door closest to the top of elevator car. This will be important for a scenario where the elevator car is stalled in between floors. Again, communicate with the occupants. Get a status report of their conditions, seeing if their conditions have changed and now need medical attention. Let them know what the process will be in their removal. The 1st scenario would be an elevator car that is stalled even with or close, within 2 feet, of the floor landing. Chock the hoist way door open so it does not close. We will then be looking at the interior elevator car door. Explain to the occupants and have them move to the back of the elevator car before opening the door to prevent anyone from accidentally rushing out the doors before we are ready to assist in their removal. Members will have to lift the latch to release the door and then begin removing the occupants in an orderly fashion one at a time. The 2nd scenario would be an elevator car that is stalled about 3 feet above the floor landing. We will follow the same steps as a stalled elevator car that is even except that we must block the opening to the shaft below the elevator. 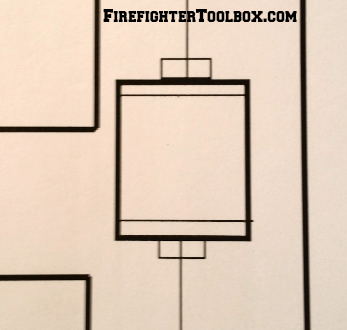 This can be accomplished by using an “A” Frame ladder and place it across the opening. Once the interior car door is open have a member assist each occupant out of the car. You may set up a small step-ladder on the landing floor to assist in the removal of occupants. Have firefighters on the floor assist the occupant down the steps of the ladder ensuring that no one falls into the open elevator shaft. The 3rd scenario would be that the floor of the elevator car is about 3 feet below the landing. We will follow the same steps as a stalled elevator car that is even with the landing except we will have a member descend into the car and place a small step-ladder in the car to assist in removal of the occupants. Be sure to watch and protect the heads of the occupants from hitting the top of the elevator car as they climb out. Have firefighters on the floor assist the occupants as they climb up the ladder. The 4th scenario would be for an elevator that is stalled in between 2 floors. There are more hazards associated with this scenario. It is extremely important to have an elevator repair technician responding to assist in this operation; especially if all the occupants won’t be able to exit out the top hatch of the stalled elevator car. Have a Chief Officer assume command so that the company officer can properly supervise the members. Also, appoint a Safety Officer to oversee operations. All members that will be operating on top of the elevator car must be in proper PPE with a harness to secure them to the top of the car to prevent them from falling into the elevator shaft. Just as we did for the other previous scenarios ensure that the power to the elevator car has been shut off, locked and tagged out. If the stalled car is in a bank with other elevators it is imperative that the other elevator car(s) be taken out of service and located within 1 floor below the stalled car or evening with it if possible. This will serve two purposes. First, by stopping the cars there is no longer movement of cables, counter-weights, and cars in the adjoining shafts. Secondly, by bringing the other cars up to the area of the stalled car, we create a platform below the area of operation. Once the cars are in the proper location the power is to be shut off, locked and tagged. Then open the hoist way doors from the floor above the stalled elevator. When members are performing an elevator car top removal of occupants, ensure that there is enough man power as well as enough lighting. It is important to know where we are stepping. Again, communication with the occupants is a must. Let them know each step as we go through the rescue process. A ladder may be needed to gain access to the top of the car. Once our members are on the top of the stalled car, find the elevator control switches and shut the power switch off to the car. 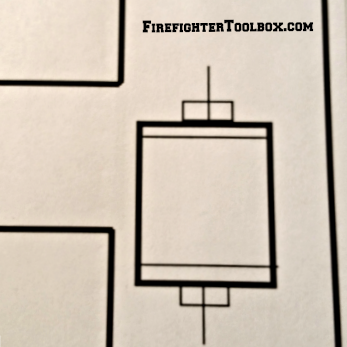 This procedure may seem redundant but it ensures that the power is cut to the motor. Locate and remove the hatch and pass the hatch up and out of the elevator shaft. A ladder will be needed to assist in the removal of the occupants, a folding attic ladder works well for this scenario. Have one member of our crew descend into the car and triage in what order the occupants will be removed. Have two member stationed on the top of the car, one by the top of the hatch, and the other by the foot of the ladder to ladder to assist in occupant removal to the floor above. Each occupant as they are being removed should have a harness which is attached to a life safety belay line that is rigged up on the floor above. Another member should be at the tip of the ladder to assist the occupant off the ladder onto the floor above. This should be repeated until all occupants are out of the elevator car. If an occupant is unable to climb out of the hatch members are to stay with this occupant until the elevator technician arrives and assists in the rescue. Usually the technician is able to lower the car to the next floor down and then we can then remove the occupant from the elevator car like we would a stalled elevator even with the floor landing. Once all the occupants are removed we are to close the doors to the elevator car as well as the hoist way doors. Keep the power shut to the elevator so that no one else will become stuck in the elevator. Document the names of the occupants that were stuck and notify your communications center that the car has been secured and that the power is remaining off and locked out until the elevator is properly repaired. Performing basic elevator rescue is a technique that must be practiced by members of our crew in order to keep our skills sharp. Safety is the top priority. John Hayowyk Jr. has been in the fire service for over 20 years. He is currently a Lieutenant for the City of Passaic FD in NJ (Ladder 1). John is also a NJ Certified Level 2 Fire Service Instructor and teaches at Passaic & Sussex County Public Safety Academies. He also heads up of the Training Division for the Roxbury Twp. Volunteer Fire Dept. John is an active Fire Inspector & Arson Investigator and also maintains his EMT certification. John has a passion for teaching all levels of education in the fire service. He enjoys when he is able to see the A-Ha moment in his students and fellow firefighters when they master the skill or fully understand the information that they are given. John also continues to his education in various classes and courses to maintain his knowledge and skills. Here’s a better plan. If it’s not a medical emergency, wait. Don’t touch the power. Don’t touch the door. Ensure an elevator mechanic is on the way. then wait until the mechanic opens the door. If an elevator machine’s brake is jammed, turning off the power is the worst possible thing to do. You may kill someone. Activating the recall system is also a bad idea. The elevator stopped because something WENT WRONG. Forcing the other cars to recall only makes it harder to determine the original problem. Being stuck in an elevator is rarely an emergency. It is an inconvenience And should be treated as such. Step 1. Call elevator company. Step 2. Wait for elevator mechanic. Step 3. Don’t get yourself killed. Unless the building is on fire or there is someone inside that needs immediate medical attention, there’s no need for any of these rescue options. Elevator men/women are trained to get the elevator to a floor and let the passengers out safely. Using ladders and such is last resort. One person noted already(and is correct) that if the brake has failed, the motor may be the only thing holding the elevator still. Shutting off the power to make it “safe” could be your worst mistake. 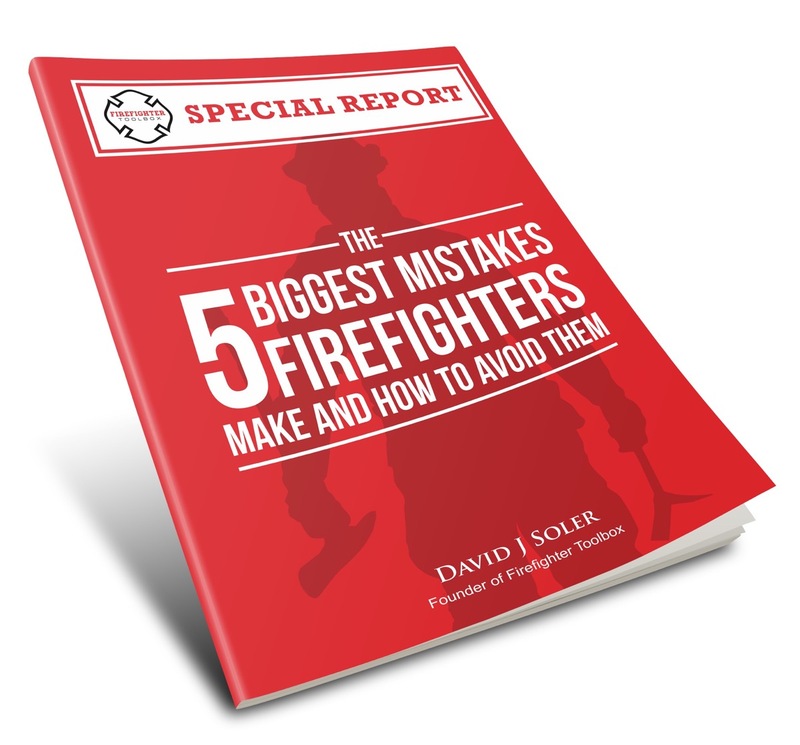 Fire fighters shouldn’t have to know these things….there’s already a plan in place to solve this problem….CALL THE ELEVATOR COMPANY FIRST! First step should be to call the elevator company. Many emergency phones dial out directly to the elevator company that has the contract for the building. To my knowledge none dial out to the fire dept. There is a reason for that. Call the elevator company, you guys are Fire fighters and rescuers of an emergency. Bring trapped in an elevator in most cases is not an emergency. You have enough on your plate let us professionals take care of this problem. You don’t call an elevator man to put out a fire, why would you call the fire department for someone stuck in an elevator?? Outstanding article! I wrote an SOP/SOG for my department that was very similar back in the 80’s. With the aging infastructure we find ourselve in, this becomes an all-important subject for our “every day operations!” Keep up the good work Brother. All the prior posts include some really good input. However, my suggestion would be to contact your areas elevator mechanic and do a walk around with them. 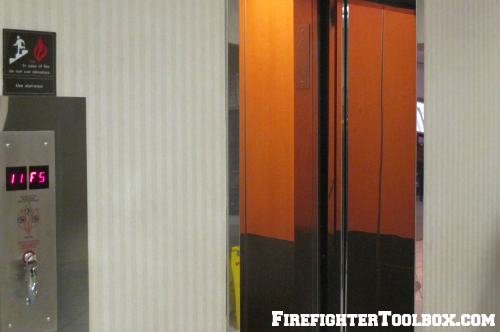 This can be a tremendous learning experience and most of these professionals realize that they have a partnership with the local fire department when it comes to the “right thing to do” during an elevator emergency. Use science not science fiction, it not like it is on TV. Electric takes the brakes off. If power fails or is turned off, it will activate the brakes. In a stalled car if the brakes are taken off it will most likely go up. The counter weights are 45% of the car weight and capacity. So unless it is full the car will most likely go up. Recalling the elevator using fire function may bring the car down. It may be stalled due to misalignment with the landing. And there is a way to move a stalled car but holy cow…….